A loss to Hungary’s Tamas Lorincz in the quarterfinals knocked Army Spc. Justin Lester out of the gold medal hunt. 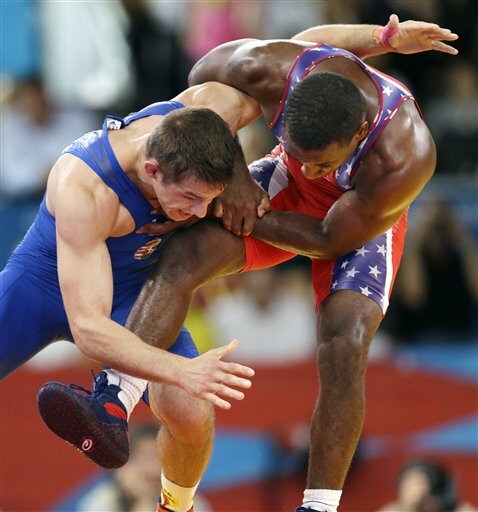 But Lorincz’s win in the semifinals put the American 66-kilogram Greco-Roman star back into Olympic medal contention. Lester, part of the Army World Class Athlete Program, received a bye in the qualification round and defeated Japan’s Tsutomu Fujimura in his first London match Tuesday. The soldier won the first period of his quarterfinal match against Lorincz 2-0 before being swept 1-0, 2-0 and knocked out of the gold-medal bracket. Lorincz reached the final and will wrestle South Korea’s Hyeonwoo Kim for the gold. Lester must defeat Germany’s Frank Staebler to reach the bronze-medal final, where he would take on Manuchar Tskhadaia of Georgia to earn one of two bronze medals awarded. The first match of the bronze-medal mini-tournament is set for 12:45 London time, according to the NBC Olympics website. If you can’t catch the match online, refresh this post for updates. UPDATE: Lester couldn’t keep up with Staebler, falling 5-0, 5-0. His loss means the U.S. will be shut out on the Greco-Roman podium. As for soldier-athletes, only pentathlete Spc. Dennis Bowsher and 50-kilometer race-walker Staff Sgt. John Nunn are yet to compete, with events slated for Saturday; read more about them here and here.